Oklahoma music now available “On Demand”. Anywhere, Anytime! Oklahoma Music Now Available “On Demand.” Anywhere, Anytime! The fact that one Oklahoman has gathered local Oklahoma musicians to share their music on a world stage. Years of experience in and around Music and Audio Production, led Casey Friedman to create Acoustic Oklahoma. 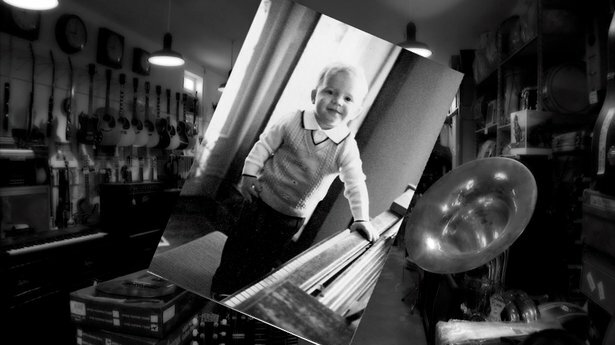 He remembered seeing local musicians buy instruments from his father’s Horn Trader Music store in downtown Oklahoma City, but wondered what happened to them. He later realized that he could take each individual artist, record their music and showcase their work on a global stage. His goal was to document voices that would otherwise not be heard. 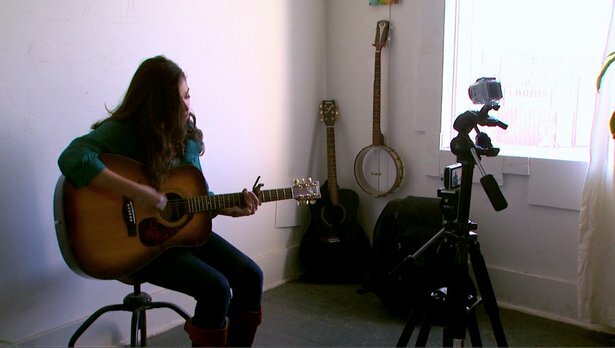 So, using a simple camera, a Singer chair and a room as a recording studio, Casey invited local artists to their own recording session. They came in droves. 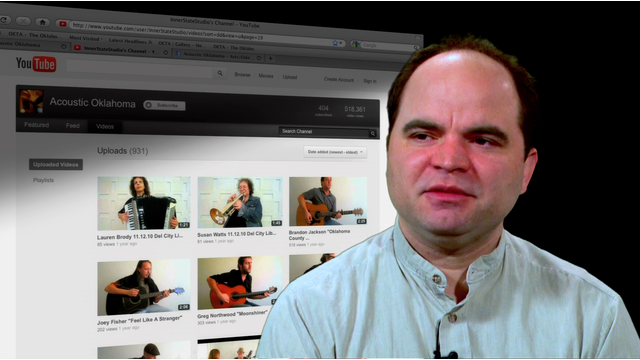 After each session he uploaded each artist’s music video to the internet, where anyone, from anywhere can listen and enjoy the artist’s music. The crew got to enjoy a free "concert" from all the Oklahoma artists that appear in this episode. The musicians are all very gifted. 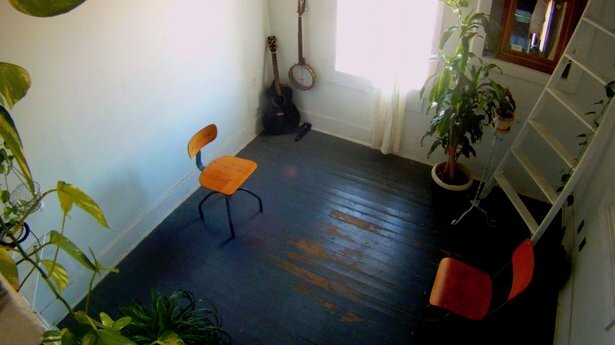 Now, you too can enjoy their music through this very popular outlet;- Acoustic Oklahoma. The fact that you can find a local instrument maker in this our great state of Oklahoma. Looking for your own quality handcrafted music instrument? Head over to the music shop in Pawnee, Oklahoma. 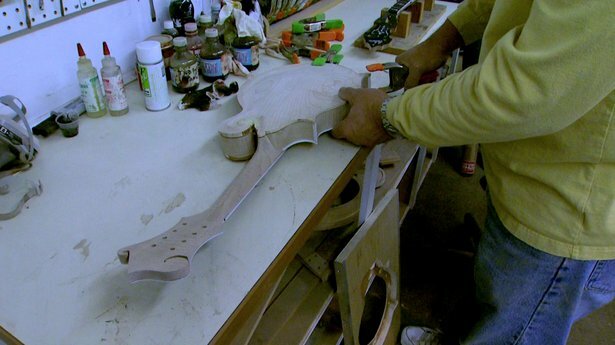 Here you will find Darrel Carender a veteran instrument maker with a midas touch for all things musical. 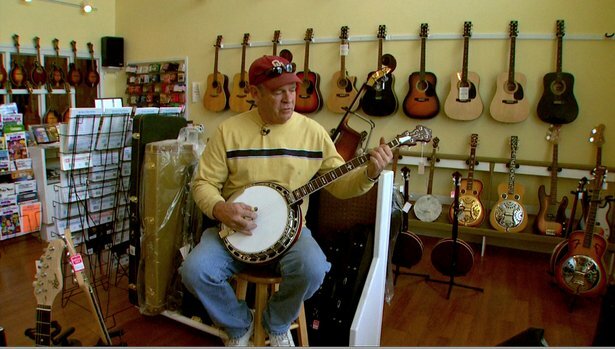 Darrel specializes in banjos, guitars, mandolins, doboros and more. The crew got to see Darrel's work space. His music store is at the front, while his workshop in the back. We watched as Darrel went through the step by step process of making an instrument. Darrel's attention to detail is unmatched. He sure does put in a ton of love into his music instruments. We so throughly enjoyed filming him.